This article focuses only on the desktop Facebook experience when used with Google Chrome. 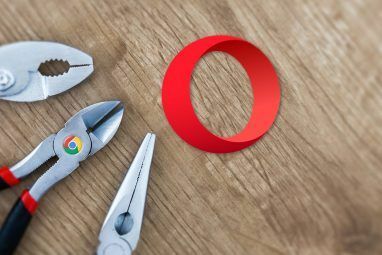 But remember, you can use Chrome extensions in Opera How to Install Google Chrome Extensions in Opera Browser How to Install Google Chrome Extensions in Opera Browser Opera is making a case for you to switch to it. There's one small problem: extensions. What if you could install Chrome extensions in Opera? It's easy, so here's a quick guide. Read More and other Chromium-based browsers, as well as in Firefox Running Chrome Extensions in Firefox: What You Need to Know Running Chrome Extensions in Firefox: What You Need to Know Soon, you'll be able to run your favorite Chrome extensions in Firefox. This game-changing development is likely to bring about a new renaissance in Firefox users and revolutionize the way extensions are created. Read More . With one click, it hides the left and the rights sidebars of Facebook, where you usually see links or stories. It’s a cleaner Facebook interface, focussed on the News Feed alone. Speaking of the News Feed, you can switch it on and off. There’s also a really handy “Auto Scroll” feature that goes to the next post on your News Feed after a few seconds. It’s really cool, and you’ll have to try it to see how well it works. The extension also adds a timer to see how much time you spend on Facebook. It’s nice, but don’t install for this alone as there’s a standalone extension for tracking your Facebook usage, listed below. Pages News Feed lets you read only those posts from Facebook Pages you follow, rather than a mish-mash of posts from friends as well as brands. Apart from these, New Tools and Design has plenty of other tweaks. You can discover Facebook Live videos, check the Calendar in a click, get the weather in any city, and much more. Timely: How Much Time Have You Been on Facebook? Facebook is a time sink that routinely turns five minute breaks into much longer sessions of time wastage. You’d be shocked by how much time you spend on the site if you actually counted it. Timely is here to give you that dose of reality. When you open Facebook in a new tab, Timely starts two stopwatches. The right stopwatch displays how long it has been since you opened Facebook in a tab. The left stopwatch displays the total spent time on Facebook per day. The stopwatches change color as you spend more time, like turning red when total time goes beyond one hour. Timely is a sobering look at how addictive Facebook is. If you think you’re spending too much time on it, consider a social media detox How to Do a Social Media Detox (and Why You Should Right Away) How to Do a Social Media Detox (and Why You Should Right Away) A social media detox might sound like a punishment; but if it does, there's a really good chance you need one. Here are the signs you need a detox and how to do it. Read More . When it debuted, Nudge was a tool to delete your Facebook News Feed Folks, It's Time to Delete the Facebook News Feed Folks, It's Time to Delete the Facebook News Feed It's time to get rid of your News Feed. It's more a distraction than anything else. Here's how (and why) you can delete it. Read More . It’s turned into a much better extension now, bringing more to the table. Like Timely, Nudge wants to make you more aware of how much time you are wasting on Facebook. It has a cool mechanism to do this. Nudge visualizes time spent on Facebook by adding colored rings to the screen, that grow with every five minutes. Similarly, Nudge also hides the two sidebars on Facebook, and even your News Feed. You can click and view them at any time, but hiding it by default makes it less likely you’ll get distracted. Nudge also tries to block Facebook, so that you aren’t tempted to visit it. Of course, you can still use it to delete your News Feed, of course, and it happens in a jiffy. Overall, Nudge does everything it can to make you more productive and stop distractions. 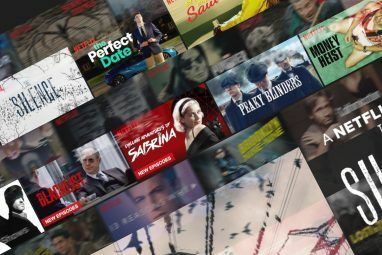 Facebook is a Rolodex for your social life, containing connections to all the people you’ve met, some of them even only once. Much like a good Rolodex, it helps to add notes to the back of the contact card. Private Notes is a simple extension that displays a private notepad that only you can see on the user’s profile page. It’s a simple text pad, so think of it like a sticky note for you to write details about that person, like how or where you met, or something about them you want to remember. The notes are saved in your browser’s cache, so if you clear cache, the notes will be gone with it! If you want, you can back up those notes as a simple CSV file to open in any spreadsheet app. Have you ever tried deleting your old posts on Facebook? It’s an absolute nightmare. Facebook makes it as difficult as possible to get rid of them, forcing you to find each one and manually delete it. Social Book Post Manager finally simplifies that process. The extension scans your post history based on filters. First, go to your Activity Log. Then in the extension, you can filter by year, month, or posts that contain (or don’t contain) certain words. Let the scan finish and from the options at the top, you can “Select All” and delete. It works like a charm and is the easiest way to bulk-delete posts. Of course, if you’re really concerned about your privacy, this step isn’t going to be enough. You should instead look to deactivate and delete your Facebook account. This isn’t an exhaustive list, of course. 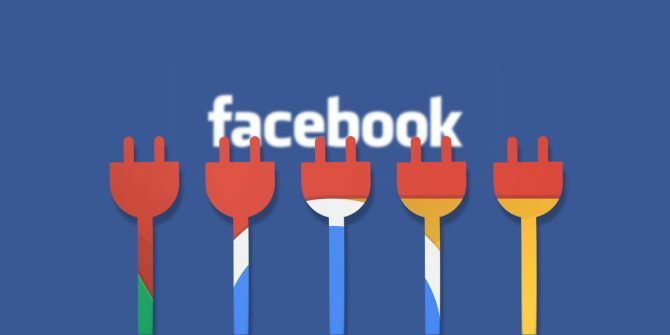 In fact, we have previously looked at another 15 extensions for a better Facebook experience 15 Extensions to Transform Your Facebook Experience 15 Extensions to Transform Your Facebook Experience From finding out who unfriended you to keeping to removing those annoying boxes in the sidebar, here are the 15 best extensions for a better Facebook. Read More . From removing all numbers to protecting your privacy, you’ll find plenty to love here. Explore more about: Browser Extensions, Cool Web Apps, Facebook.